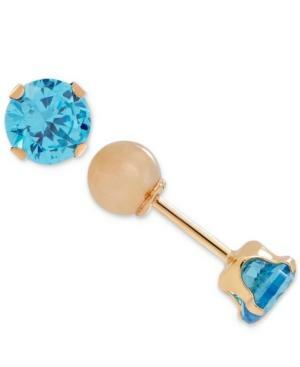 December girls will love the icy blue tones of these birthstone cubic zirconia reversible earrings designed in 14k gold. Approximate twist ball back diameter: 4mm. Approximate birthstone diameter: 1/6.